One of my favorite things about the fall is being able to wear sweaters and cardigans again! Even though I probably won't be buying any new sweaters this year (due to my vastly growing bump), I still love to window shop! 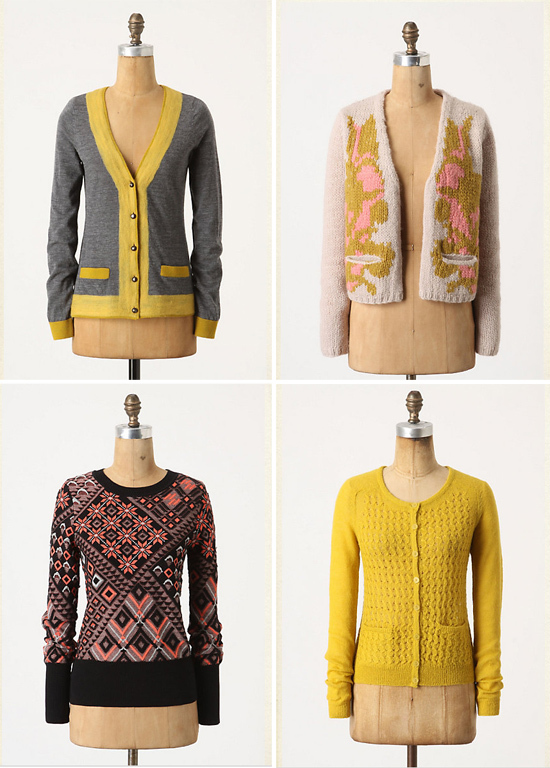 Anthropologie of course has a great sweater collection and these are a few of my favorites. What is your favorite article of clothing to wear when it gets cold outside? Have a great weekend and don't forget to do something fun! sweaters with tank tops...my fav! I love layering in general! I like the grey sweater.....I need one too.